Mark Webber | Farewell Formula One, it’s been fun! Farewell Formula One, it’s been fun! An emotional final race weekend in Formula One ended with Mark taking the 42nd podium of his career. He drove a typically tenacious race to second place, coming home 10s behind team-mate Sebastian Vettel to give Red Bull Racing its third 1-2 finish at Interlagos in the last four years. There were a lot of unknowns going into the 71-lap Brazilian Grand Prix because the entire weekend was wet until race day. No cars completed a lap on dry tyres prior to the pit-lane opening 30 minutes before the start of the race, which is why Mark passed through the pits four times en route to the grid – twice on option tyres and twice on primes. Mark didn’t make the best of starts. He dropped from fourth to fifth after Lewis Hamilton forced his way past into Turn 1, but Mark quickly made amends when he drove around the outside of the Mercedes driver at the start of lap two. He then dispensed of Nico Rosberg and Fernando Alonso, but he dropped behind the Ferrari driver when there was a problem changing his left-rear tyre at his first pit stop. Mark passed Alonso for the second time one lap later and he set about chasing down his team-mate. On lap 35 they set identical lap times of 1:17.327s, and they nearly came unstuck on lap 47 when they pitted at the same time fearing a Safety Car. In the end, Mark crossed the finish line almost within sight of Vettel and 8.4s ahead of Alonso. Mark stole the show on the slow-down lap when he took off his helmet while returning to parc ferme. This second place finish – Mark’s third podium in the last three races – jumped him into third position in the world championship, ahead of Lewis Hamilton. However, it isn’t all good news: the late finish to this year’s world championship means he’ll miss his Swisse Mark Webber Tasmania Challenge. hey,Mark,very briliant drive and emotional final race, i promised myself not cry, but when u took off your helmet, when u got so excited and slipped on the podium, i can not help myself to drop happy tears. Mark, u are a hero, always. good luck in porsche car. cheer for u, as always. Terrific work Mark, a truly professional and gentlemanly career in F1. Best wishes for the next phase. Mark, inspiring race, inspiring man. Let your next endeavor in sportscar be as successful as your time in F1. I will truly miss the early mornings and late nights watching you! Go get them, Aussie Grit!! Sorry to see you go, especially since you’re driving so well. It would have been great to see you in another F1 team for another year or so. Good luck in the Porsche. Stay safe. Hey Mark, it seems like only yesterday that I was jumping up and down, screaming with delight and waking my family up at some ungodly hour in the morning when you won your first GP in Germany 2009. Of course who can forget Melbourne in the Minardi to start it all off as well. There have been many thousands of us back here in Oz travelling on your coat tails during your incredible journey. At times it must have felt like you had the weight of a nation on your shoulders – well today we are carrying you on our shoulders in celebration and thanks for a stellar F1 career and all those memories. You’re a fair dinkum legend, mate! and have left a great legacy for Daniel to continue with. Good luck for all your endeavours in the future! Mark, I hope you get to read this. you are a legend, You are Australia’s number one hero in all sports not just motorsports. Thank you for 12 great years, you did us proud. I am looking forward to following you as a Porsche Works driver for many years to come. 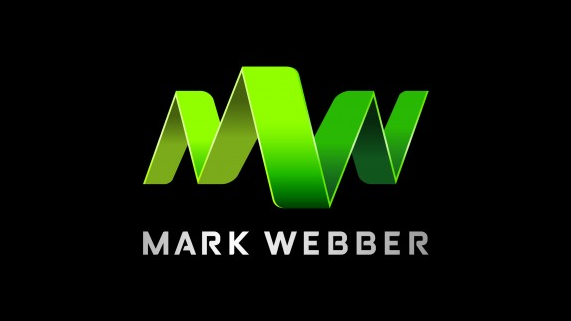 Thanks for all the Webber subscription e-mails, I hope they will continue. Mark Webber what a highlight to have seen you drive F1. Go champ. what a highlight to have seen you drive fomula one race cars. Great result and as always you did yourself proud. You were so sporting in all your comments in what was an emotional time for your supporters so we can’t imagine how you were feeling. I will have to take a detour from F1 next year to keep a watch on your career next year as you are a true Sportsman in an age where so much of it is about money. You will do well at whatever you turn your hand to. You’ve had a great career in F1 and I look forward to your time with Porsche. I started following you when you were able to wring out good qualifying laps in a Jag. Congratulations Mark on finishing second in the race and third in the overall championship.If I had any say in it you would be Australian Sportsman of the Year, or maybe even the decade. Good luck for the future. What Perth TV Channel will you be on now? Mark, congratulations on a fantastic end to a fantastic career. You are a champion and really defined true grit. We will miss your professionalism, your resolve in the face of mechanical and team failures, and your brilliant driving skills. Our Sundays will now a bit more dull but we will get behind the new Aussie. You have done Australia proud! All the best in your next chapter and thanks for all the wonderful memories and thrills. Thank you, Mark, for your inspiring driving and thoughtful conduct throughout your Formula One career. Best of luck for the future from a fellow Australian. Mark you provided us with great racing over the 12 years and showed the world how professional you are throughout all of your career. Mate you have raced with the best of them and have lived the dream. Good luck in your next step with Porsche’s and I look forward to watching you in your new car!!!!! Thanks for the great memories Mark, its been fantastic watching you drive for all these years. Hats off to you and your great achievements. I’ve enjoyed each of your wins + the many great overtakes – you have proven you a re a real fighter. All the best with the new career @ Porsche. thanks for being a great Aussie sports hero. A world champion in my eyes, I wish the championship wasn’t only based on race wins! A sad departure for F1, but all good things come to an end. Looking forward to watching Supercup next year! I may have to buy a Porsche again! Mark, You are a shining example of what can be achieved when you stay absolutely focused and committed to your dedicated pursuit. You have been and will continue to be a fantastic ambassador for Australia and a massive loss to F1. I have enjoyed immensely watching your F1 journey and was lucky enough to get to Melbourne, Singapore and Abu Dhabi in your final year! Looking forward to seeing you tear up the pavement in your new Porsche.. Awesome career mark. One of the happiest moments in my Motorsport watching career was witnessing your points finish on debut at Albert Park. Well done and glad you are moving to my favorite manufacturer Porsche. Congratulations mate it has been a pleasure and privilege to watch you over the years. You represented us Aussies with integrity, professionalism and character. A great example for all young Australians. I wish you all the best with Porsche. I will be watching! not know where to start. Six years down following you as a fan and has been amazing what has given as a rider and as a person. You have taught us that it is motivation, struggle, patience and above all respect, shame you did not win in Brazil, but it would not be very ethical Seb let you through, nor would you have liked, nor you have left, I think. I wish you to follow in another Scuderia Ferrari for example, but anyway, you made the decision and I will respect, I wish you luck in your new stage and I will try to follow you, but will be more complicated. thanks for so, thanks for the photo, the autograph and your greeting in Montmeló. Congratulations Mark on your fabulous career in F1. I have been following F1 for 28 years and finally (after my children had grown up) was able to travel to watch you race in Monza 2012, Melbourne 2013 and Singapore 2013. Good luck for your future at Porsche. You have made us all proud. Well done!! Hi Mark, Congratulations on a great F1 career. My family and I met you on Friday at Abu Dhabi in 2010 and we were stoked how down to earth you were with your fans, the kids still have the photos & autographs. All the best and thanks for the memories. Congratulations Mark on your fabulous career in F1. I have been following F1 for 28 years and finally (after my children had grown up)was able to travel to Monza 2012, Melbourne 2013 and Singapore 2013 to watch you race. You should hold your head high. Your success has been amazing. Best of luck in your new venture with Porsche. my hero who i will never forget. I was at your Minardi race in Melbourne all those years ago and just want to say congratulations on your F1 career.You made us proud. Mark mate, that happy/sad day came and went for you to leave F1 for good. You made a huge impact on the sport and all your successes will be well remembered by all who have followed you through out the years. I am very proud to be an Australian and to have you as a fellow countryman, you have shown the world that Aussies, are tough, fair, resilient and determined. Most of all, you have shown that we Aussies don’t ever give up, we keep going till the bitter end, the essence of Aussie Grit! It was very emotional watching you go through your last everything yesterday, when you took your helmet off on the slow down lap and we could see your face and how much that moment meant to you, I’m not ashamed to say that moment moved me to tears. Mark you deserve all the accolades and praise from all that have bestowed them upon you mate. Congratulations on your second place in Brazil, extremely well driven and fought for. You may be gone but you will not be forgotten, thank you for all the really great memories and races you gave us these past 12 years and thank you for being an ambassador for Australia, sportsmanship and all that is good in Formula one. I want to wish you all the succes in the world with the next step in your career as well as health and happiness to you and all who are dear to you. Proper bloke, many thanks for the years of quality competition, all the best for the future ‘aussie grit’. So happy to see you celebrate after what was a near perfect last F1 race, very memorable indeed. Coolest thing for me was after I got to bed at 5am, I dreamt you paid me a visit and hung out before you flew home. ……very cool dream. So sports cars eh. We’ll all be checking that out. Enjoy the fire, chocolate and some top MR red…..cheers Mark. The perfect timing. The perfect gesture. The perfect end to a great F1 career. Bravo. All the best on the next part. Hope your mates at Ten/One start showing all of the Le Mans races! Mark, what can one say? Not only am I truly saddened to see you leave F1, I am feeling slightly depressed! The past twelve years have been unbelievable from the perspective of an Australian F1 fan. I worked night shift as a nurse for many years and never missed a race. What an emotional roller coaster ride from the start of your F1 career to the finish. Thank you so much for giving me something to look forward to, believe in, and to sink my teeth into the past 12 years. Pure enjoyment and inspiration. You are a class act. Hey Mark, simply well done digger! You showed great gutsy grit all the way and always kept a level head. That’s one reason all the other drivers admire you so much. A sign of your success is you even had the great AJ eating his words after proving him wrong with such a successful F1 career. Be proud of yourself mate, because we are. No more lemonades, looking forward to see you in a true race car and real racing @ Le Mans 2014! Thanks for all great moments in F1, Greetings from Czech Republic! A stellar performance, I cannot comprehend with the fact that you won’t driving F1 next year. Good memories Mark and wish you all the best in your next phase. Mark, you’re tenacity and fighting spirit makes you a winner and an inspiration to all Australians. Good luck in the Porsche. Would be great to see you racing in Adelaide one day. Unbelievable career with the greatest success given some of the unlucky adversities along the way. Congratulations on you 2nd place! It was a great race and it was wonderful to see you on the podium once again. I’ll miss you in F1, but I’m looking forward to the WEC! I’ll always support you. You are a great driver and such a nice guy. Thanks for all!!! All the best for you! Fantastic Mark! Very emotional when you removed your helmet! Got a bit teary but you went out in style and it won’t be the same without you in the paddock. Thank you for the memories, good luck in the Porsches. It was a blast! Great Job Mark! It was awesome seeing you race in F1. I look forward to seeing you race in the Le Mans. I also look forward to one day participating in your Tasmania Challenge keep up the great charity work and the adventuring spirit. Thank You Mark for all those years. F1 will never be the same. Go get that Triple Crown of Motorsport! Just take Fernando’s final words to the world of F1 and have them framed for your trophy wall. No one else driving today could match what he said about you. All Australia was with you in every race, thanks for the passion, the class and the ability to rise above the fray. Now show them at Les Mans. It has been an absolute honour & a pleasure to watch you race in F1. I have followed your career since the Minardi days and have enjoyed all the thrills and spills you have given us over the years. I was at Silverstone in 2010, cheering you on in my blue Red Bull Webber top amongst a sea of Jenson & Lewis fans. I didn’t care, it was just awesome to watch you cross that line in 1st after the weekend that was. You’ve given us some great moments to cherish. You will be sorely missed – F1 will not be the same without you. Good luck with the WEC, I hope you enjoy this next phase in your career. Thanks again for all the wonderful memories. Nice one. F1 lost one of the greates man ever drove in! I will mis you in the formula 1. And all the best with the new career @ Porsche. Amazing driver, more importantly, amazing man and an inspiration who has left F1 with Style & Grace. Teary eyed like everyone else yesterday but will still follow your career. Get a break and show Le Mans what you’re about without rolling a car this time!! all the best for the future mate, I will miss watching behind the wheel, its been a great 12 years . It was very emotional race and very well ended. I still can’t believe that it was the last one. F1 will not be the same any more. I wish you all the best for all your life. i am watching f1 on regular basis since 90 and i’ve witnessed a lot of retraits. everyone is talking about this in the press … i haven’t seen anything like this before. this must be an appreciation sign – even if it’s coming from a (othrwise) blood-thursty press. also, it’s the only moment (besides senna’s death) when i was really sad. All the best in your next fase of your life! It’s been a pleasure to have seen you drive F1. I am a brasilian fan of F1 and ever since Senna died I didn’t have no pilot to cheer for. In the last 4 years I found you to cheer for. Thank you! All the very best and I will always be you fan. You are a great man. Over the last 12 years F1 has been more exciting than ever with an Aussie proudly flying our flag and clearly being very competitive in this chosen sport. I’m sure Porsche will be better from your F1 retirement. Will be watching Le Mans with great interest. All the very best for the future. Mark, I am very sad to see you leave F1. Like millions of others, I have followed you throughout your F1 career. Thank-you for entertaining us for the last 12 or so years. I am so glad that you had a hand in getting young Daniel into your seat so we can continue to shout at the TV for Australia at 1am on a Monday morning. Good Luck with Porche mate. Thanks for all F1 memories, would have loved to have seen you teamed up with Jenson. Good look with the Porsche racing, will be watching out for you. Australia is so pround to have such a fine sportsman as you. Staying up till all hours of the night was nothing more than a pleasure to watch “our Mark” fly the flag for himself and Australia. We haven’t lost an F1 driver, we’ve all gained endless memories. Thank you “Aussie Mark”, Austalia salutes you. Thanks for years of entertainment in F1,a true sportsman and solid driver.Good luck Mark. To finish your career sandwiched between two multi-champions, says it all. If it had not been for some rather annoying mechanical problems and poor team calls, there would have been three champions on the podium on Sunday. Thanks for all years spent in F-1. I always was and I remain the fan of your talent and diligence! You are the best, Mark! Points may win titles but a true champion is defined by his actions. You’ll be remembered by F1 fans long after people have stopped looking at the stats. Best of luck at Porsche and keep it on the black stuff. Mark, I’m your big fan. I respect you as a driver and as a person, and many of my friends agree with me. You are on the same level with Vettel and Alonso, and in the last race you showed it! Good luck in the future in porsche car! I look forward to your new victories and champion’s title. Thank for your time in F1. Well done on getting a podium and fastest lap in your last race and congratulations on finishing 3rd in the championship. Thank you for 12 amazing years and making F1 such a great sport to watch. You really have made your mark and will be remembered as one of the best drivers in the sport. I have loved every minute and you’ve given your fans so much pleasure (and heartache at times! )I wish you every success in your new undertaking. I just have to figure out who televises WEC SO I can continue to follow your career. Anybody reading this know? Congratulations Mark! I can’t possibly top Alonso’s comments on Sunday…..a driver of the old school, a person of high quality and great integrity….Thank you so much for showing us the way. Best wishes at Porsche. THANK YOU MARK FOR THIS INCREDIBLE JOURNEY!!!! Looking forward to follow you at Porsche! Wish you health, happiness and good luck!! Mark, i really enjoyed seeing you racing, you were outstanding and with all respect, you have the most amazing takeover of them all at Spa at Eau Rouge…we still talk about that every year!!! Mark we’re gonna miss you in F1!! We’re gonna follow you at Porsche..the best of luck Mark we love you!! congratulations on having such a great time of it in formula1. Not sure where I will go now to get my fix of elevated stress levels – your race starts always nearly killed me! ha. Congratulations Mark on your amazing career. You have been & will always be a great Australian ambassador and should be knighted for your efforts. Look forward to hearing great results with your career change and wish you every success in the move. been a fan since i started watching f1. good luck in your new endeavor. Dear Mark, its hard not to write what all press has already spelled out. So heres my own interpretation. Ever since I was a little kid (1975-1976) I have followed – and will remain following – F1 since I went collecting empty drinks bottles at the F1 event at Zandvoort Circuit to pay for the entrance fee 🙂 in the days that Niki and Ayrton still competed in F1.First I was a huge Ferrari fan, partly because I worked for Shell but when RB made its appearance I switched. I have been to all but one venue, Brasil. I really wanted to go and visit RB in the paddock so I could experience your last F1 race live, and possible meet and greet you, but due to family circumstances I couldn’t make it. I met you three times in the RB paddock club, once in Abu Dhabi has made the biggest impression, I was standing next to you, cramped at the interview table and during an interview I let you sign your previous season F1 drivers page as part of a F1 collade done by Mark Wickens, and I got to keep your RB drinks cup. You have had a long F1 carreer during which you left your Mark. But it aint over yet with the WEC calendar, as that seems pretty busy. I sincerly hope you and Ann get more time together and you get to do the bits and pieces you missed out doing during all those years. I can certainly assume you will keep this website live so we can follow your performance post F1. I wish you a great winter rest to continue on your racing yourney. Firstly, nice to watch you finish off your F1 career at the Brazilian GP with a podium. I have enjoyed the journey for the past 12 years watching you race and become one of the most respected F1 drives today. Whilst you did not win the WC, you are a champ. You have conducted yourself in the most professional manner both on and off the track and a great sportsman. I am looking forward to following you in your next phase in your life at Porsche and wish you all the very best. I wish to take this opportunity to wish you, your partner and family a Happy Christmas and New Year and all the best for 2014. Enjoy the break. All the best for the future, keep the faith ‘cos it all comes right in the end. Mark, I started following you back in the Jaguar days and have cheered for you right up through last Sunday. Right on edge, willing you and your car around. I am sorely going to miss you in F1. Total class act. A man and a gentleman in a sport full of spoiled,little boy wanna be’s. Can’t wait to see you in sports cars again..maybe a bit of Aussie V8’s? You had #2 on your car and hat, but for your career in F1,#2 became #1. Mark you will be sorely missed, especially by my wife! After watching F1 for over 25 years I am also departing. The sport just isn’t the same any more. I’m looking forward to following you in your career so please do keep us informed. Have a tinny for me around the barbie. Most Aussies following F1 only have 3 favourites on their browser , Google, James Allen and Mark Webber’s sites to get the best info . I can’t believe F1 is finsihed. It’s a sad time for us all , we’ve been there with you mate through the tough gut renching times and the fabulous times. Who has been more of a consistent fighter in F1 regardless of what was thrown at your car. Another great drive in Brazil. You are an inspiration to all on not ever ever giving up , no matter what cards you’re handed. See you at Porsche. Mark, your a bloody champion, the F1 paddock will be all the lesser without your presence. Your an inspiration, good luck with Porsche, ill be watching. Thankyou mate. Спасибо за великолепные годы, проведенные в F1! Это было здорово! It will be sad not to see you drive next season. I’ve been watching F1 for a while now and I really appreciate you as an F1 driver. I’m not really a fan of a particular team or driver per se (I guess I still have to find ‘my’ favorite team since I’ve only been following the sport since a few years) So I’ve always been more for the technical side of the sport and for the driver, the character, his technical involvement and skills and style of driving, the one that puts in the hard work, how he deals with victory and tough times. And for me, you stood out on those fronts. So thank you for those fantastic moments you gave us in F1 and good luck in your further career and life ! I will remember your victory and how you celebrated that in Monaco forever as one of the most beautiful in F1. Mark! You are the man!!!!! Brazil was a sad day for me as i have been following your career since your very first F1 race. I want to personally thank you for your entertaining career you have given my family- you will be truly missed… Thank god Daniel is there to replace you so i can still continue to watch F1- Thanks to the Canberra MIlk KID! Mark, it has been said before and will be for a long time ahead. We will miss you in F1. Congratulations on finishing 2nd in Brazil and 3rd in the championship. It is amazing how much misfortune someone can have – I dearly hope with Porsche this will change. Thank you for all the exictement and great drives these 12 years. Stay save and good luck! i also want to mention that sab will not do any good without you. Like say The Scorpions “wind of change”. I think it’s time to see the present and future.Hey Mark,you are a wonderful person and please…don’t change! Ayrton Senna and you are my favorites pilots. Thank you for the honesty,talent and humility. I’m your mexican fan,and from this point of the earth i say you…GO WEBBER, GO CHAMPION!! Mark we are going to miss you. I have followed you ever since I sore you with Allan Jones in 1994 F1 coverage on 9. I am so thankful you are still racing in a top class with the sport cars and the best brand in racing I feel too. I am so glad you have not decided to come back home and do the V8’s but would love to see you do Bathurst. I know have to figure how I will watch you in all the sports car race with full coverage. Thanks for the memories of all those great moments in your F1 career when you made me feel proud to be an Aussie. Thank heaven that other great champion Fernando is still there to keep me watching F1 while we see if “Smiley” can fill your boots at RB. I will be checking out the closed wheeler dates now and losing more sleep to nocturnal TV – specially Le Mans which has never lost its sparkle since I first watched it back before you were born. Have a great Christmas with your loved ones. Thanks for all the memories, Mark. I will be searcing live coverage of the covered-wheelers in future. Meanwhile that other great champion Fernando remains to keep me interested in F1 while we see if “Smiley” can fill your shoes at RB. Best wishes for a peaceful Cristmas with loved ones. F1 Was about you. For me that is. You are an inspiration and I hope my Son’s would one day turned out to be the man you are! And I am not talking about in racing! Always. Always a class act mate. Congratulations. To put it simply mark you are my hero and I’ll follow you what ever sport you do. You have been a true inspiration to me and showed me where hard work and dedication can get you. Thank you, you made your Mark. It would be good to see some up to date news from the Porsche project if you can manage it, thanks. Hi there – sorry for the delay in approving your post. We are busy working on some big changes for the website, which will be totally revamped ahead of the 2014 WEC season. Rest assured as soon as we have any updates we will share them. wheres my comment it was on here now its been deleted along with other upto date posts???? ?